How can I reduce the amount of taxes I pay? That’s an essential question. It’s not uncommon for farmers to feel like they can’t do much to impact their tax burden, but it’s simply not true. Here are 10 tax tips that can help you minimize your taxes in the coming year and beyond. If you own a farm that someone else operates on your behalf, you still need to report the rental income you collect from the tenant, although you aren’t required to pay self-employment tax on the rental income. You can get additional information from IRS Publication 225. As a farmer, you know that your income fluctuates from year to year. One way to reduce your tax burden in high-income years is to use some of the money you earned to make necessary purchases for the coming year. In farming, that might mean buying things like animal feed, fertilizer, fuel, seed, and chemicals. The key is to ensure that any expenses you deduct are directly related to your business. There are many factors that can affect the amount of taxes you pay. These may include deductions for a dependent spouse and children, as well as eligible business expenses. It’s best to work with an experienced accountant when filing your taxes. They can help you shift income into years when your deductions are higher, and in such a way that it reduces your tax burden overall while still adhering to IRS rules. Every farmer uses equipment to run their business. Whether you’re farming crops, raising livestock, or a combination of the two, your equipment is a significant expense. Section 179 of the tax code allows you to take a larger than normal tax deduction in the year that you purchase new equipment. Bonus depreciation the depreciation that allows you to deduct 100% of the cost of new or used equipment purchased in any given tax year. If you construct a building, you may be able to deduct the entire cost of construction. Some structures, including equipment barns and machine shops, require costs to be recovered over 20 years. The period is only 10 years for chicken houses, grain bins, livestock barns, and silos. Don’t expect depreciation to make up for purchases you can’t afford. Sometimes, equipment salespeople will try to convince you to spend more because it will help on your taxes. Only buy equipment out of necessity – and then use the proper depreciation to reduce your taxes. It’s very common for family farms to have dependent children pitch in and help with chores related to the business. If that’s true for you, then you can actually save money on your taxes by paying your kids to work for you. The Tax Cuts and Jobs Act of 2018 nearly doubled the amount of money that a child under the age of 18 can exempt from federal taxes. In other words, you can pay your kids to work and they can take the money, tax free, and put it into a college savings account or Roth IRA. A bonus is that you won’t need to withhold payroll taxes. 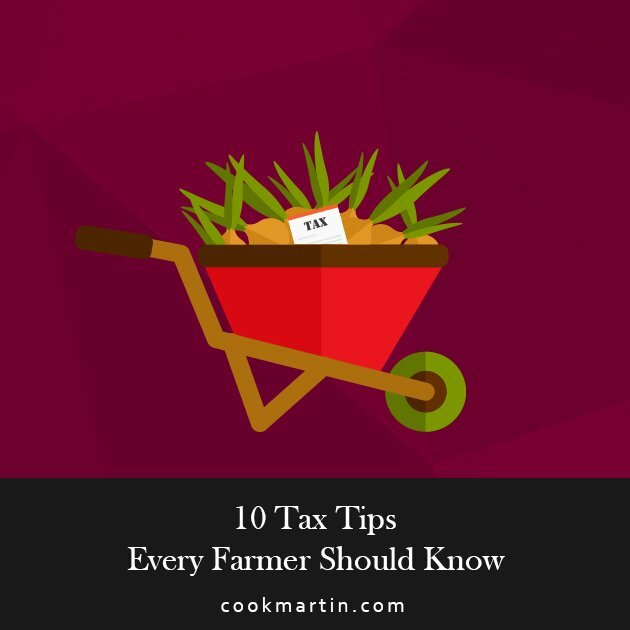 Keep in mind that you may not deduct personal or living expenses that don’t produce farm income, expenses of raising items used by your family, inventory losses, personal losses. If you bought livestock or other items for resale, you must report when you sell them to the IRS. That’s true whether you sell them for profit or because a drought or bad weather forced you to sell more livestock than you intended. The good news is that if you made the sale due to a federally declared drought , you may be able to defer your taxes a year from the sales. 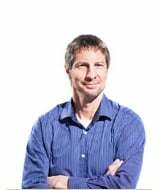 If your farm operates as a Sole Proprietorship (and in certain other situations) you may be able to use income averaging to reduce your tax burden. In the year you elect to use income averaging, you can shift some of that year’s income to the three prior years. This is a good idea for farmers whose income has fluctuated dramatically. You can find a full explanation of income averaging and when you can use it here. Expenses related to leveling, grading, terracing, diversion and drainage ditches, ponds, brush removal, earth dams, and windbreaks are usually deductible. The one caveat is that they must be consistent with an approved NRCS Conservation Plan for your farm, and there’s a 25% gross income limit. If you clear timbered land for farm use, you may not deduct the costs of preparing the ground for farming. Instead, add the costs to your basis in the land and you may recover them when you sell the land. Careful planning will ensure that you don’t make mistakes after undertaking an expansion of your farmable land. In any year where your expenses are more than your income, your farm may have a net operating loss. If that happens, the IRS allows you to carry that loss over to other years and deduct it. You may even be due a refund of part (or all) of the income tax you paid in years prior to the loss, or reduce the taxes you’ll need to pay in future years. You can find more information here. Filing taxes as a farmer can be stressful and confusing. The ten tips we’ve outlined here will help you minimize the amount you pay. At Cook Martin Poulson, we can help you find the best opportunities for tax deductions on your farm. We understand that reducing your tax burden is a top priority, and are prepared to support you in that goal. Need help with your taxes? Reach out to Cook Martin Poulson to learn more about their Farm & Ranch Accounting and Tax Services.